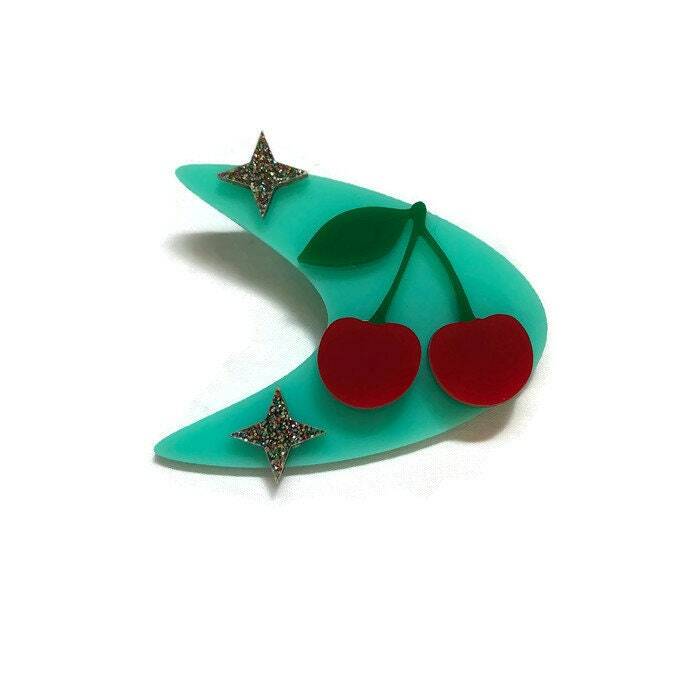 This rockabilly brooch is inspired by the atomic 50's. 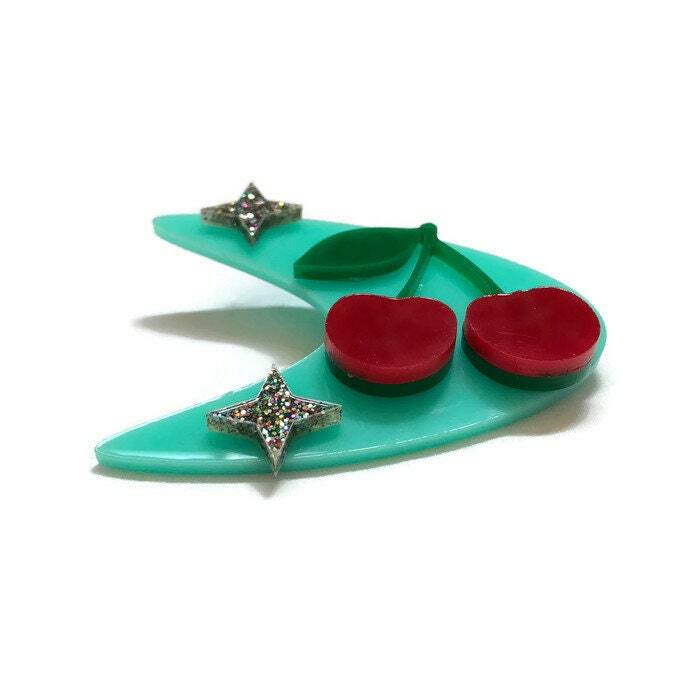 The laser cut acrylic aqua boomerang is adorned with laser cut acrylic cherries in red and green and two retro stars in multi colored glitter acrylic. 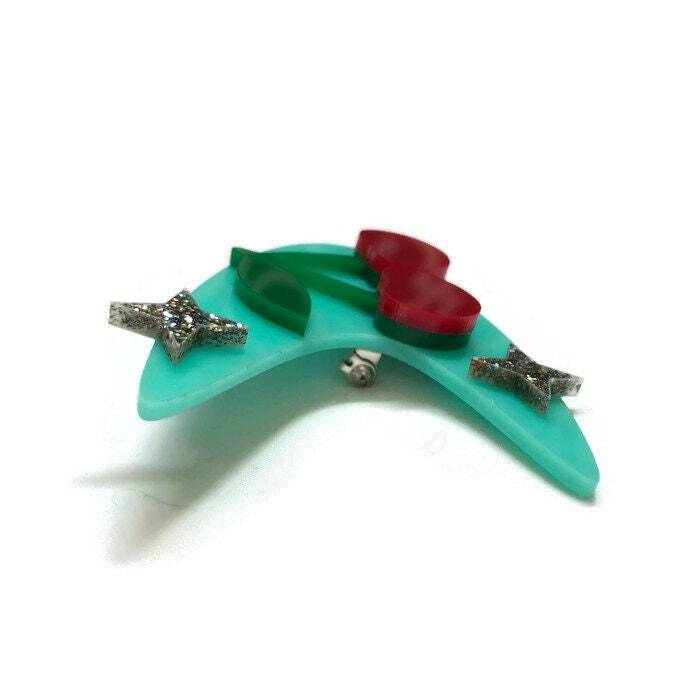 The brooch measures approximately 56 mm x 73 mm (2.16 in x 2.87 in) and is backed with a pin back. Great size and is gorgeous!!!! 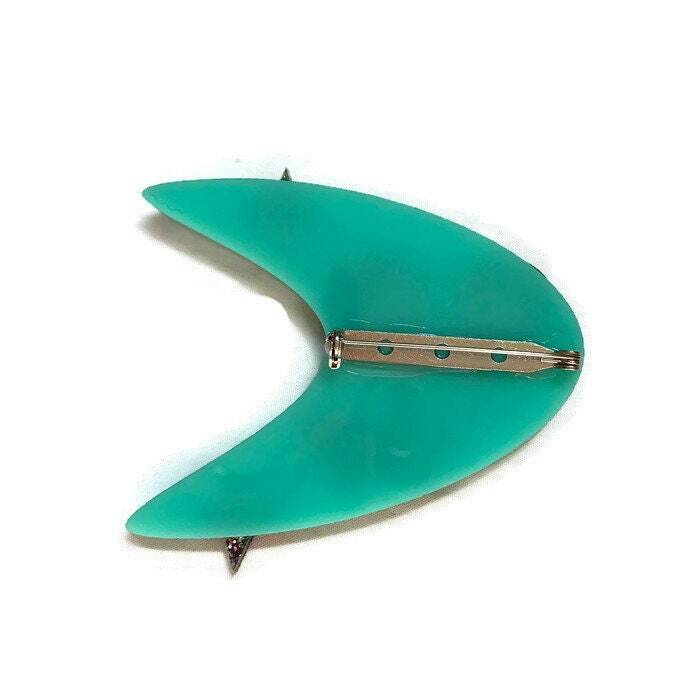 One of my new favorite brooches for sure!! 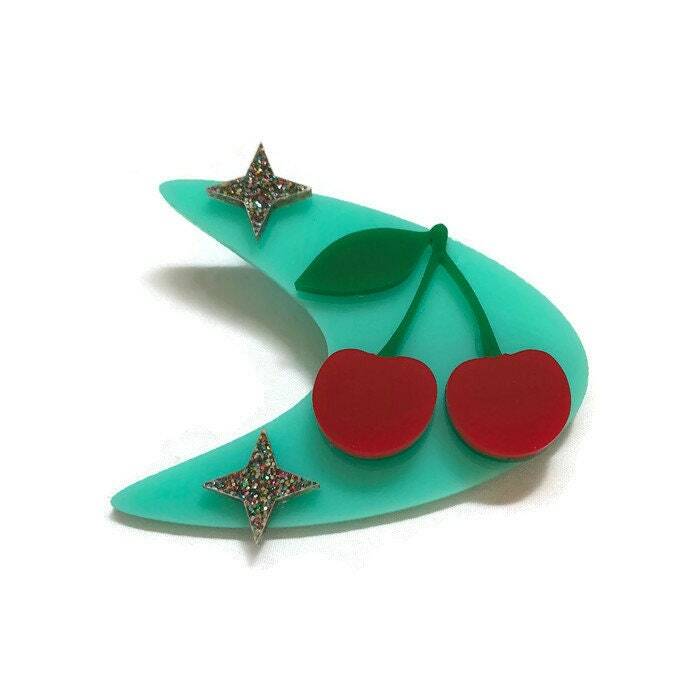 VERY CUTE BROOCH!!! I LOVE SO MUCH!! !